Voice Cash Pro Review: Scam Or $9,800 From Home Every Week? →Voice Cash Pro Review: Scam Or $9,800 From Home Every Week? On this review of Voice Cash Pro, you can read if this program is a legit one that can generate $1000 per day or another online scam. 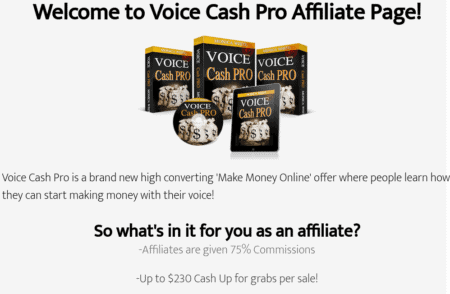 The program can be found on the domain: voiceprofitsystem.com but name is Voice Cash Pro. The fact is that there are some huge claims about the potential earnings and the time it takes to be successful with that. In my opinion, these claims are not realistic, and some information on the sales page is misleading. But let’s see what this product is all about. The spokesperson on the video of the program presents it as a money-making product. The headline talks about a little secret that can generate $9,800 per week for ordinary people. 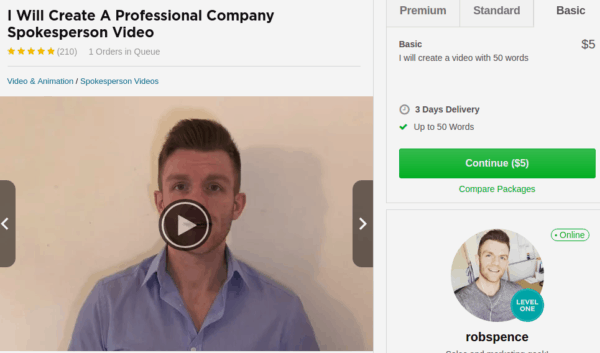 Then, the video starts with a claim that you can make up to $1000 in 30 minutes. However, it is not mentioned how you are going to make that money. The video includes some screenshots, a nice story, and a few more claims about a system. It’s fair to say that the owner promotes his product as a quick rich scheme. To make money online takes work. If you want to make a lot of money, you must work harder. Earning $1000 in thirty minutes does not make sense. Voice Cash Pro talks about a specific type of online jobs. Voice over jobs are legit and many businesses hire people for relevant services. However, it does not work as this program says. You need to go out there to look for these jobs. There are many sites where you can search. 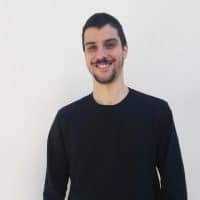 For example, Fiverr, Upwork, Freelancer, and any other big freelance platform could work for you. The downside is that there are already many freelancers who want to get hired on this type of jobs. This is not something to worry if you are prepared and willing to do what it takes. It’s a problem when you look for some quick bucks and expect something quick and easy as this program suggests. Voice Cash Pro is not a legit program even if it suggests something that could work with the right information. I do not know any legit way that it can make $1000 in 30 minutes for someone who starts from scratch. I have reviewed other similar programs that promise quick earnings for a few dollars. You can read about Million Dollar Replicator, Smart Cash App, and EZ Bay Payday. You can see similar claims, sales pages, fake testimonials, and upsells inside the product. 1. Set everything up by following step-by-step instructions. 2. Spend about 1~2 hours a day on your laptop or mobile phone. 3. Sit back as you start receiving online payments. You can be sure that if you work 1-2 hours per day, you will get paid as someone who works 1-2 hours per day. They promise you a system that is going to give you the promised results ($1000 in 30 minutes). You can be sure that there is no such a system. Of course, there is a product on the members’ area but it does not deliver a system. A few PDFs and some links will not help you with your goal to make money online. Next, the spokesperson mentions many times the word passive income. In my opinion, there is nothing passive in the voice over jobs. Even if you turn it on a business which is possible after a while, you can’t just sit back and wait to get paid. The spokesperson of the video mentions the name, Monica White. It’s common on many low-quality products to use pen names instead the real names for the owners. It seems that this name is not a real one as well. If you search on the internet, you cannot find a person with that name that has any connection with Voice Cash Pro. Also, you cannot contact any person from this program. There is no names, emails or something else that could help you find someone. If you buy the product, you are alone in the members’ area to figure out how it works. It’s easier to find these guys and figure out if they have tested the program. As you expect, they haven’t. This guy has not earned $150,000 with this program while he was on vacations. You can find him on other online scams like AZ Sniper, AZ Formula and AD Formula. As you can see, it’s not unusual to find fake testimonials on online programs. The problem is that these sites have not real users who have tested the program and got results. The owners create these programs to make a few bucks and not to help people as they should do. So, they must figure out ways to build trust with the visitors. The basic product costs $37, and there is a downsell that you can get with the popups on the homepage. The downsell offers you a trial that costs $1 for seven days and then, $36 per month. I do not know why they have monthly payments in a product like this one. The $37 price is a one-time payment. When you are on the checkout page, there are two upsells that cost almost $12 and it asks permission to send you promotional content. After the payments, you will see many upsells and extra fees. On the affiliate page of the product, you can find out that a marketer can earn up to $230 per sale on a 75% commission. For a buyer, it means that the total cost can be over $400. The 60-day money back guarantee is provided by Clickbank. It’s legit for the basic product. My Final Verdict – Is Voice Cash Pro A Scam? The program promises a lot of money but it can’t deliver. We can agree that on the member’s area you can find a product. However, you do not get a system that works on autopilot or make money passively. The owner knows that the buyers of the product will not make $1000 in 30 minutes or $9,800 per week. He adds them on this video only to increase his sales. So, Voice Cash Pro is another online scam. The testimonials and the pen name of the owner confirm that something goes wrong. In my opinion, this program is not worth the money and your time. You can find many legit ways to earn money online. Voice overs jobs is one of them. When you want to learn about an online business model or an online job, make sure you learn from people who apply these ways in their daily life. When you hear about earnings overnight, autopilot and effortless systems just stay away. Usually, someone wants to sell a product. While I have some experience as a freelancer, I have not done voice over jobs and did not stick to freelancing anyway. Below you can read what I do to make money. I recommend to anyone who wants to earn money to start an affiliate marketing business. Affiliate marketing is the simplest online business model. Simple does not mean that you do not have to work for it. It takes work, but everyone can do it. As you can see I create content for online business programs. You can do the same thing on any topic you want. For example, it’s easy to create a site about a hobby, your passion or anything else you like. I can show you how to find what people search on the internet. Then, you will make some research and create a simple but informative articles like this one. I have created a free guide where I use some tools from Wealthy Affiliate, check it on the link below. Thanks for reading my review on Voice Cash Pro. There are better alternatives to get started online. If you want to ask any questions, leave your comment below!